Judith Jones rescued diary of young Holocaust victim from US publisher's rejection pile. Judith Jones, the legendary editor who rescued Anne Frank's diary from a US publisher's rejection pile, died on Wednesday. She was 93. "Judith was a legend in book publishing," said Sonny Mehta, chairman and editor-in-chief, paying tribute to the once young assistant who rescued Frank's "Diary of a Young Girl" from a rejection pile in Paris. Her diary was first published in the Netherlands in 1947, followed by French and German editions in 1950 before appearing in Britain and the United States in 1952. The first US edition of "Anne Frank: The Diary of a Young Girl" ran a modest 5,000 copies and contained a preface from former first lady Eleanor Roosevelt. Doubleday reputedly spent little on publicity, but sales quickly took off. 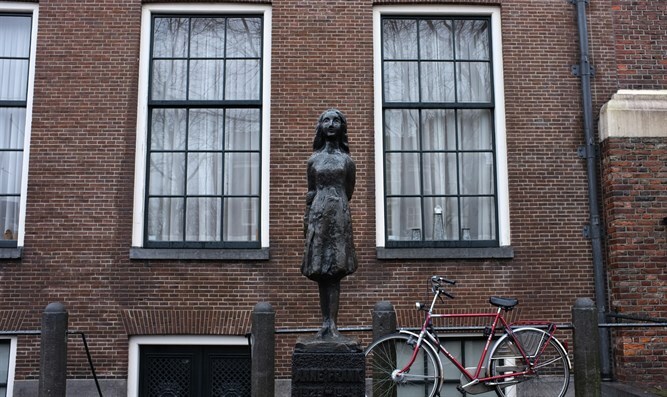 A subsequent US play "Diary of Anne Frank" was a Broadway hit and won the Pulitzer Prize for Drama in 1956. A 1959 Hollywood movie won three Oscars. The diary has been a fixure on school curricula since the 1960s. Worldwide, the diary has sold more than 30 million copies in 67 languages. Jones was also instrumental in persuading Alfred Knopf to publish in 1961 "Mastering the Art of French Cooking" -- a tome that introduced generations of American home cooks to French food and to now legendary chef Julia Child. "It is no exaggeration to say that she profoundly influenced not only the way America reads and but also the way we cook," Mehta said Wednesday. Jones won five Pulitzer Prizes, five National Book Awards and three National Book Critics Circle Awards, and her cookbook authors won dozens and dozens of prizes, said Knopf Doubleday.